Casa da Tapa 7 Holiday Manor House near Douro wine region in Portugal. Located approximately one hour away from Porto, the magnificent “Casa da Tapa” offers an ambience of history, tradition and cozyness like no other! This charming house is fully equipped and can sleep comfortably 6 persons. Vila Pouca de Aguiar is very central with plenty to see and do within short distances. The perfect place to relax and explore the region. Enjoy in top comfort the ancestry of Casa of Tapa 7 and the historical region of Vila Pouca de Aguiar. 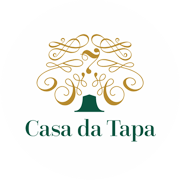 Casa da Tapa appears, since the seventeenth century, in the historical county records as the house of the official Notary & Notary of Notes of the municipality of Vila Pouca de Aguiar. This magnificent house is embedded in the town’s historical centre. Casa da Tapa 7 has been refurbished keeping its timeless features and decoration. The house is self catering and fully equipped, offering all the comfort and amenities of modern days. Enjoy the warm winter nights by the fire and sunny days out in the garden. Free Wifi in all areas, Cable TV, DVDs, music, books, games… all available for you and your family and friends. The house sleeps comfortably up to 6 people. The house has a large outside lawn and a resting to eat out, do a barbecue or hold an event. Surrounded by mountains and park land, Vila Pouca de Aguiar enjoys a tranquil setting. The perfect place for a relaxing and restorative stay!